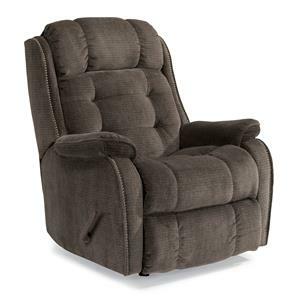 Featuring tasteful rolled arms embellished with welt cording and decorative quilt stitching, this eye-catching power recliner will add a touch of handsome style to any room. 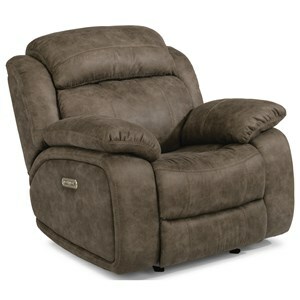 As stylish as it is, the best part of this recliner is what you can't see. 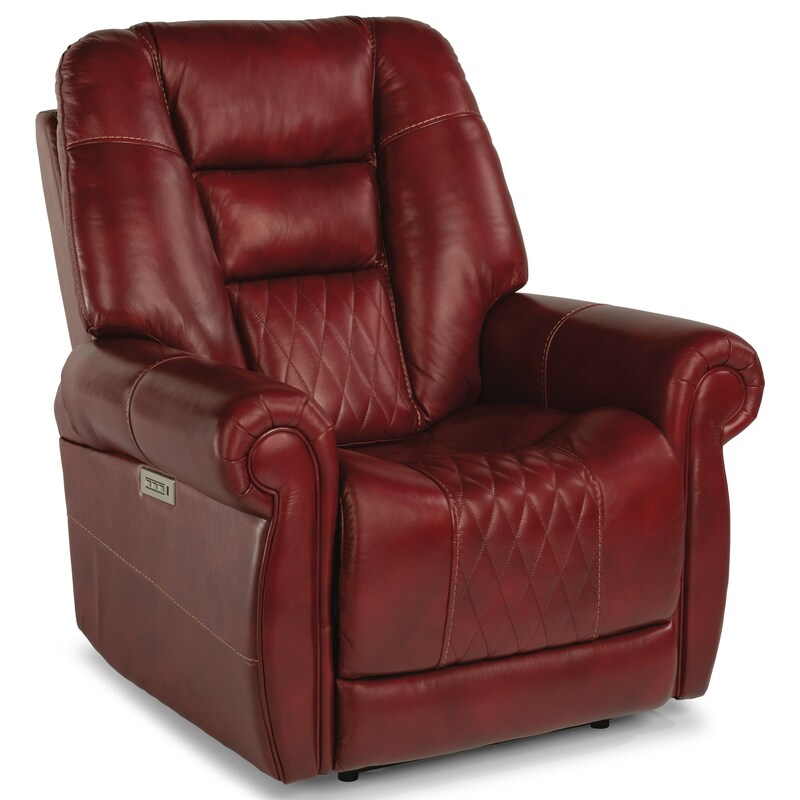 This piece is equipped with separately controlled power reclining, headrest and lumbar mechanisms, allowing you to find the position that's most supportive for your body. You can even operate these mechanisms via mobile app, or you can use the easy-to-use control panel. 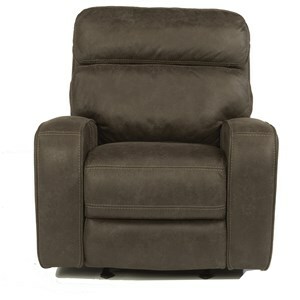 For added convenience, you'll also find a home button that will return the recliner to an upright position and a USB port on the control panel. 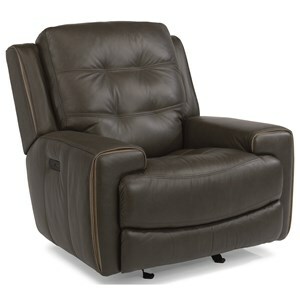 Designed for users of all sizes, this recliner features a heavy-duty mechanisms that will accommodate up to 300lbs and an extended footrest. 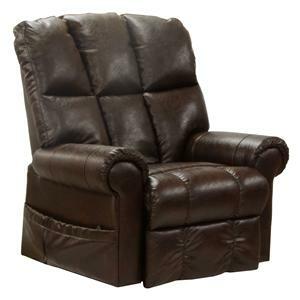 This recliner requires 6" of wall clearance. 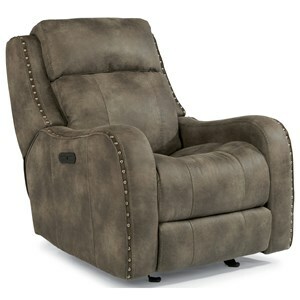 The Latitudes - Maverick Traditional Power Recliner with Power Headrest and Lumbar Support by Flexsteel at Zak's Home in the Tri-Cities, Johnson City, Tennessee area. Product availability may vary. Contact us for the most current availability on this product. 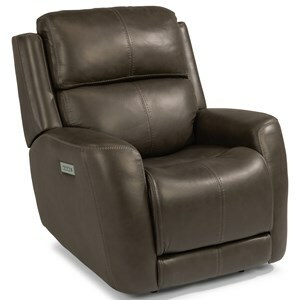 Recliner Mechanism Power mechanisms allow you to smoothly recline, adjust the headrest and adjust the lumbar support independently. 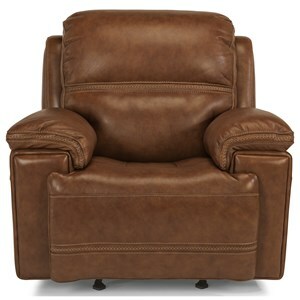 This model is also equipped with a heavy duty lay flat mechanism that will accommodate occupants weighing up to 300 lbs.